McBrunch might just be a thing. McDonald's (MCD) wants to trademark the word "McBrunch," according to documents filed with the U.S. Patent and Trademark Office. The burger chain filed the application in July, but McDonald's spokeswoman Terri Hickey said it's too soon to speculate about what McBrunch might entail. "We routinely file intent-to-use trademark applications as a regular course of business," she said. "We can't share details at this time as to how the trademarks may or may not be used." 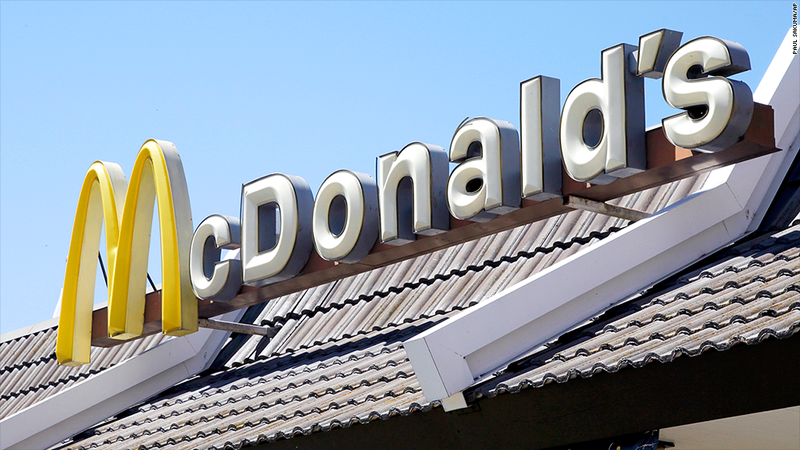 McDonald's has been trying to revive sales as more innovative rivals gobble up market share. The competition has been particularly fierce at breakfast time, which McDonald's relies on for about 25% of its sales. McDonald's has been focusing on coffee in the past few years, as Dunkin' Donuts (DNKN) and Starbucks (SBUX) have ramped up their food offerings. Taco Bell, which is owned by Yum! Brands, (YUM) has introduced new breakfast items, such as the Waffle Taco and the Biscuit Taco, with great fanfare. McDonald's has also been losing ground to regional chains, such as Sonic and Jack in the Box (JACK), that appeal to younger consumers. Meanwhile, McDonald's has also been hurt by a food safety scandal in China, where a supplier has been accused of selling tainted meat to several fast food chains in the world's most populous nation. The company said Tuesday that sales in Asia, Africa and the Middle East fell 14.5% in August. U.S. sales were down 2.8% last month.